TruVision Weight Loss Reviews (Updated May 2018): Do The Products Work? You are here: Home / Blog / TruVision Weight Loss Reviews (Updated May 2018): Do The Products Work? Does TruVision Weight Loss Work? Weight loss is such a large trend in society right now. So many of us want to lose weight, yet struggle to actually achieve that goal. This is even true for those of us that do know precisely what to do so that we can lose weight. Indeed, weight loss often seems like an impossible aim and many of those that do succeed end up putting it back on afterward. This brings me to products like TruVision, along with the various TruVision weight loss reviews that are out there. TruVision itself offers a range of products, a number of which are supposed to directly help with weight loss. In particular, there are two interesting products, called TruFix and TruControl. These are meant to be taken in conjunction with one another. There are other weight loss products too, including reFORM. This is a drink mix that's meant to be an energy accelerator. The marketing also suggests that it will help lower appetite. With that in mind, this post will take a look at the current TruVision weight loss reviews out there, along with the actual products, to see how viable TruVision is as a weight loss option. TruVision Health is a direct sales company that specializes in health and nutrition products. This approach has become extremely common as many people look for ways to improve their health and lose weight. The company offers a range of different products, broken down into Core, Complementary and By Nature areas. The core products include TruFix (also sometimes written as truFIX), TruControl (or truCONTROL) and reFORM, which I mentioned earlier, along with some powders, supplements and other options. On the other hand, the complementary section consists of products that don’t entirely fit into the weight loss concept, such as a sleep supplement, lip balm and a tool for carbonating water. Finally, the By Nature section offers essential oils, including the ones in the image below. There are some related products too but not many. In general, the product selection for this company isn’t that different to countless others. For example, Plexus and Thrive offer some similar products, although they have their own unique angles as well. The direct sales model has become increasingly common and companies often use it as a way to get cheap marketing. Under this model, people like you and me become distributors, and play a key role in marketing and selling the products. In itself, there is nothing wrong with the approach. In fact, some direct sales companies produce really good products. But, in many cases, direct sales models just create similar items with different branding or a slightly varied focus. At the same time, the model means that distributors are biased, and they’ll often promote a product as being great, partly because they make money with sales. So, you should be very careful about any hype or claims that come from this type of company. TruVision has a few different products that promote weight loss in some way. The key ones are TruFix and the TruControl. However, there are also a few other interesting items. One of these is rePLACE, which is basically a meal replacement shake. 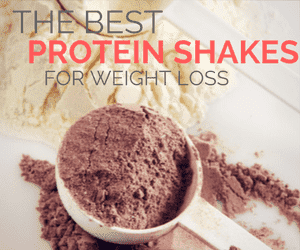 As a general rule, this type of shake can work well for weight loss and can be a surprisingly easy way to decrease calorie intake. In this case, the powder offers 20 g of protein and 6 g of fiber per serving. The shake is also vegan, which may be desirable for some people. Because of this, it’s also whey free. 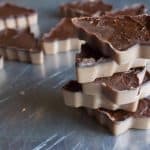 When it comes to protein shakes, there are a number of important whey protein benefits and you often get more advantages from whey protein than other types. The shakes also contain either 4.6 or 7.0 grams of sugar, depending on the brand you choose. This is more than some people would be happy with - and the shakes aren't low carb either. These aspects mean that the TruVision shakes are actually less powerful than the company implies. They're decent enough - but there are many other options out there. Another product is reNU DETOX. I’m not going to focus much on detox with this particular review. But, I want to mention that this product isn’t at all unique. Instead, there are countless detox products out there, including detox teas (like Fit Tea) and entire detox diets (like the 1 Week Detox Diet Plan). Yet, the underlying concept of detox is a myth and research doesn’t support the idea of detoxing your body this way. Instead, most detoxes just act as a way to increase your bowel movements. Doing so can also potentially be damaging to your body in the long-term. The site Active Beat even warns of 10 significant risks associated with detoxing. The other main product that I want to mention is reFORM. As discussed earlier, this is a product that you mix into water. It's meant to provide energy, improve metabolism and reduce hunger. Personally, I’m always wary of claims like that, as they are rarely ever accurate. In most cases, supplements will do very little to improve your weight loss, especially if you aren’t combining them with a healthy diet. There is also the risk that the product will have unexpected effects on your body and your health. The supplement only has a few main ingredients, including calcium, vitamin B5 and iron. There are also various extra components. Some help create a nice flavor, while others may offer weight loss impacts. Many of the ingredients are the same as for the TruFix and TruControl products. We'll be looking at those in detail a little later on. Some of the weight loss products from TruVision include TruFix and TruControl, along with rePLACE, reNU DETOX and reFORM. Between the items in the previous section and the ones that I mentioned earlier, there is no shortage of TruVision products. And, that’s only considering the ones that are connected to weight loss in some way. So, how do these work? For that matter, are the products even effective to begin with? One way to figure that out is to take a look at the various TruVision ingredients, starting with TruFix. I’m not going to go through every single ingredient, partly because there are multiple products that we want to look at. Additionally, only some of these ingredients are relevant to weight loss. Many of these seem to be just included for potential health benefits. For example, the company includes selenium because it is a ‘powerful antioxidant’, while copper helps with producing red blood cells. Now, many of the compounds may well offer health benefits. But, in most cases, that will only be true if you were deficient in them to begin with. Realistically, there are relatively few supplements that people actually need, with vitamin D and fish oil being the most common examples. The site Nerd Fitness offers some interesting insights into supplements and their health implications. Instead, there is even concern that taking unnecessary supplements could increase health risk – particularly if you already had more than enough of the nutrients (1,2,3). The end result is that you can take supplements, like this one here, but the ingredients like magnesium and copper probably won’t offer many benefits at all. There is even the potential for harm from them, although most people will probably be fine. After all, that’s the reason we’re even looking into TruVision weight loss reviews. Well, for this product, there are a number of key ingredients connected specifically to weight loss. Two of these are chlorogenic acid and chromium. Basically, chlorogenic acid comes from green coffee beans and the science connecting these to weight loss is limited. There are some studies that show a small effect but not many (5,6,7). Additionally, the main study used to prove the relationship was ultimately debunked (8). For that matter, if you wanted to try chlorogenic acid, the best approach would be green coffee bean extract. At least that way you know precisely how much you're getting and these supplements tend to be less expensive as well. As for chromium, it may offer some health benefits but the connection between the compound and weight loss is incredibly weak (9,10,11). You’ll also find that many weight loss products (like Leptigen and Valentus Slim Roast Coffee) also rely on these ingredients. So, TruVision isn’t really unique. In fact, the main unusual component of TruFix is raspberry ketones. These sound like they're part of the ketogenic diet, which can be powerful for weight loss. However, on that type of diet, your body is producing the ketones itself. In fact, as Perfect Keto points out, raspberry ketones don't have anything to do with ketosis. TruControl seems to be mostly about mental focus, energy and metabolism and is supposed to help with weight loss too. According to the instructions, the idea is to have a TruControl capsule twice daily, along with a TruFix capsule. The ingredients list for this product is shorter but also appears more complicated. This time, the company doesn’t offer much information about which ingredients are supposed to be useful or why. Nevertheless, some of them do speak for themselves. For example, caffeine is a stimulant and can potentially help with weight loss to some degree. But, to be honest, most of us probably get enough caffeine as is. Besides, with all the health benefits of coffee, you’re much better off getting caffeine from coffee than from a supplement. Now, green tea extract has been connected to weight loss but again, the research is minimal (12,13). For that matter, green tea extract pills have been on the market for quite some time and there is little to suggest that they are effective. As for the rest of the ingredients, the evidence isn’t really that great either. In most cases, you’ll find that there is relatively little research and some of them probably aren’t connected to weight loss at all. Additionally, it isn’t clear how much of the various ingredients are even present. In many cases, you’d be getting hardly any. TruVision has no shortage of weight loss products and many of them are similar. For the most part, you’re simply looking at supplements that offer a range of herbal extracts, vitamins and minerals, with the hope that some will contribute to weight loss. Additionally, the actual evidence for each individual pill tends to be small or non-existent. One exception is their reACTIVATE, which is a ketone booster. Keto diets can help improve weight loss. But, you would need to be on one for this supplement to be useful. Oddly, TruVision doesn't specify what the product contains. The phrasing suggests that it may be MCT oil of some type. Even if the supplement works, it is far from unique. There are other keto supplements out there with the same goals. Personally, I'd focus on a company that specializes in keto, rather than one like TruVision that has relatively few keto products. Even the more unusual products from TruVision aren't that exciting. They're certainly not better than the various other products currently on the market. In terms of the ingredients alone, the various supplements may work or they may not. After all, there is some research supporting weight loss outcomes for some of the ingredients, even though the evidence isn’t especially strong. Which begs the question, what do the TruVision weight loss reviews have to say? Well, if you look at the sites of TruVision associates, those reviews are overwhelmingly positive. That’s great – but not too informative. After all, the TruVision weight loss reviews that distributors promote will always tend to be a bit biased. Besides, there will always be some success stories for any given program. One distributor even mentioned that a healthy diet and exercise are recommended. The most important piece of information is whether these supplements work for most people. It’s no good if they just work for a few individuals because, honestly, some people can lose weight by sheer force of will alone. Typically, I would turn to Amazon to find good TruVision weight loss reviews – because you tend to get less biased information. But, TruVision appears to be fairly strict about stopping the products from being sold on Amazon. So, there isn’t much information there. Nevertheless, I did find some examples, like this supplement sample pack. The reviews weren't encouraging, suggesting that many people didn't have good experiences. A similar pattern was present on other sites as well, with negative reviews being common. Even so, there are positive outcomes as well. It's worth noting that people often make multiple changes when they take a weight loss product. Those changes can contribute to weight loss more than the products themselves. Collectively, these reviews suggest that you might see weight loss or energy benefits. Then again, you might not. With so many negative reviews, TruVision doesn't seem to be worth the price tag. The choice of ingredients along with the outcomes of TruVision weight loss reviews suggests that, for most people, the supplements aren’t that effective. Honestly, that’s not too surprising. There is relatively little that supplements can do to improve weight loss. In some cases, they may be able to suppress appetite or improve energy but the effect is typically small. At best, you may find that you lose a little more on this type of supplement but only if you’re also following a healthy diet and getting enough exercise. That may be a reason to try them for some people but not for many others. At the same time, the various TruVision weight loss supplements aren’t particularly cheap, especially if you’re buying multiple types at once. For example, these are the prices for the first three products from the company. There are various discounts available if you want to be a distributor yourself or get the products on autoship. But, that’s a lot to pay each month, especially as you're meant to take TruVix and TruControl at the same time. When it comes to supplements, safety is an area of hot debate. Realistically, there is relatively little legislation or control over the supplement industry, which means you don’t know precisely what you’re taking. In fact, products often aren’t externally tested, so there is little way to know whether the product content even matches the ingredient label. Additionally, as I mentioned earlier, most research tends to focus on individual ingredients, rather than supplements. Now, the company will have done safety testing but that testing would be limited. In particular, it wouldn’t consider various medical conditions, along with other medications or supplements. This means that you should be careful about taking any supplement and pay attention to how your body responds. Beyond the specific ingredients, there is also TruVision side effects to consider. Most products come with some risk of side effects. To a degree, this is a given. After all, our bodies are all different and many of us have various health conditions or take medications. So, it’s no surprise that a given supplement ends up having side effects for some people. In the case of TruVision products, there don’t seem to be that many side effects and most TruVision weight loss reviews didn’t report any. However, there are exceptions to that rule. In particular, some people did report side effects like nausea, headaches and feeling jittery. These side effects aren’t too surprising. Some of the ingredients in the various products do effectively act as stimulants and the idea is to give you energy. Typically, a product that gives energy will tend to work well for some people and be too powerful for others. So, this type of side effect isn’t too uncommon and is to be expected. At the end of the day, TruVision is similar to countless other weight loss supplements on the market. Basically, you’re consuming a bunch of ingredients in the hope that some of them help with weight loss. At the same time, you’re spending a considerable amount of money to do so. Is it worth it? Well, if you lose weight, it could be. But, there is still risk with the pills and losing weight this way would get expensive in the long-term. The approach may still be worth it if you majorly struggle with weight loss. Honestly though, there are better solutions out there. For the most part, TruVision’s products are like a diet. They may work in the short-term but they’re not something you will be using for the rest of your life. This means that many people would end up regaining much of their weight when they stopped using the supplements. In practice, the best way to lose weight is to shift away from the idea of a diet altogether. That may sound counterintuitive but it really is true. Instead of a diet, the most powerful way to lose weight is a lifestyle. Specifically, I’m talking about a healthy way of living that you can actually follow year after year. Typically, this will mean that the approach has to be flexible enough that you can stick with it. It also can’t be too restrictive, or you will simply give up. What that looks like is different for different people. For example, I know one person who follows intermittent fasting approaches and finds the lifestyle incredibly easy. In her case, she focuses on eating two meals and pays relatively little attention to what those are specifically. I’ve also seen people following variations on the ideas of Paleo or low carb dieting. Again, the idea is to end up with something that you can follow long-term. Following a lifestyle is often less popular, because you don’t lose weight as fast as you might with a crash diet. In fact, weight loss may even seem slow. But, the advantage is that the changes you make are sustainable, so you can keep the weight off from one year to the next. Ultimately, that’s much more powerful. It’s also a healthier outcome overall because having your weight shift up and down often isn’t that great for your health (15). What do you think about TruVision? Are the products any good or just more of the same? Vince, what are your credentials? so can cite article to M.D.s and patients @ my Clinic. I am a dietetic technician and former CDM.I worked in various hospital settings doing nutrition assessments and patient education. I am glad you liked the article. As a general rule, products like this are more hype than anything else. They rarely work and when they do the effects are typically very small. Before and after photos are surprisingly easy to manipulate. The cases where people do see genuine weight loss are normally where they made dramatic changes to their diet and lifestyle while using the products. The weight loss effects come from those changes, not the products. There won’t be any products with the exact same combination of ingredients and doses, as the formula is proprietary. But, it’s likely that you’re seeing energy from only a few of the ingredients. You could consider a nootropic, like caffeine and L-theanine, if you’re mostly interested in the energy angle. The same diet and lifestyle changes will help some people and not others. Weight loss is strongly about finding the right approach for your needs. For example, I know someone who has lost considerable weight through intermittent fasting and others who would never be able to stick to the concept. The same is true for diets like keto. this product makes me so dizzy and nauseated. I have tried three times to take it but end up at home and in bed feeling awful. I took it for 2 days and was so nauseated, I couldn’t take any more. When I told my “Distributor”, she said that was part of the “detox”, and it would go away…..however, I wound up throwing it away. Just didn’t want to take the chance. I have been on it for 10 weeks…not one pound or inch. It makes me very aware of my heart beat, it made my heart race (worse at first..got used to it but still could feel my heart race at times). I felt stoned the first 4 days I was on it. It also disturbed my sleep for a while..even if I took the last pill at noon. Constipation was another side effect…and I was drinking so much water. I have friends it worked for..but not me! Also, no negative comments were allowed on Facebook groups….commenting was turned off if anyone said it wasn’t working or if they discussed side effects. That was one of my biggest turnoffs…people werent allowed to be honest.